To Ted Tsakiris and Rich Stula, expanding their business isn’t about making money. It’s all about the burger. 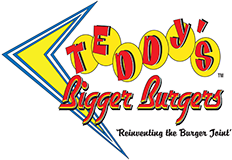 The partners have spent 10 years perfecting a burger for their chain of three Teddy’s Bigger Burgers restaurants — hand-pattied and 100 percent ground chuck — that sets the local business apart from its national competitors. This fall, Teddy’s is about to become bigger with the addition of a fourth store, at the new Kapolei Crossroads shopping center in Oahu’s second city. And the chain will get even bigger by the end of the year, when the first franchised Teddy’s Bigger Burgers opens in a Seattle suburb. Tsakiris and Stula started Teddy’s in a 500-square-foot space on Monsarrat Avenue back in 1998, financing the startup costs with credit cards and personal savings. They soon took over more space in the building and a year later opened a Teddy’s in Kailua. They opened a downtown store — which closed in 2005 due primarily to difficulty in attracting and keeping workers — and a store at Koko Marina Shopping Center followed in 2004, the same year the original Teddy’s moved from Monsarrat Avenue to Kapahulu Avenue. The first two stores got off the ground as typical startups as Tsakiris and Stula, who had spent years as waiters and bartenders at other restaurants before starting the business, worked on perfecting the consistency of the product and the system. They learned from their mistakes and put best practices into place. After three years in business, Tsakiris and Stula saw rapid and somewhat unexpected growth following the Sept. 11, 2001, terrorist attacks when a combination of renewed patriotism and a stagnant economy sent people in search of the all-American hand-pattied burger for less than $10, Tsakiris said. “It was so funny; I thought we were going to be slow and the next thing you know we started growing by double digits,” he said, adding that the 20 percent growth helped give the business the exposure it needed. Today, annual sales at the chain’s three stores average between $1.2 million and $1.3 million per store, or about $1,000 per square foot. For a company looking to grow, four years is a long time to go between store openings. But controlled growth is part of the pair’s strategy to expand their 50s-style burger brand both in Hawaii and through franchisees on the Mainland. For Teddy’s, the growth had to happen inside its existing stores before the company could look to expand outside, Tsakiris said. “Growing from the inside means re-evaluating your whole system and working on all your liabilities again and again and again,” he said. That includes listening to customers, learning from mistakes and identifying and working on weaknesses within the company. One issue the partners addressed was getting their store managers more involved with the business by making them operating partners. It was as much about creating stability within the store management as it was about creating opportunity for the employees to grow with the company. “It gives us a partner who cares as much as we do,” Stula said. The first two operating partners, the managers at Kailua and Koko Marina, have a 25 percent interest in their stores, which they were able to gain with assistance from the company’s bank, Bank of Hawaii. That interest translates to monthly bonus checks each time their restaurant’s profits exceed a certain percentage. The assistant manager at Koko Marina will become the operating partner at the Kapolei location, and a fourth employee is being groomed for partner at the company’s fifth Oahu store, which likely will be in West Oahu.